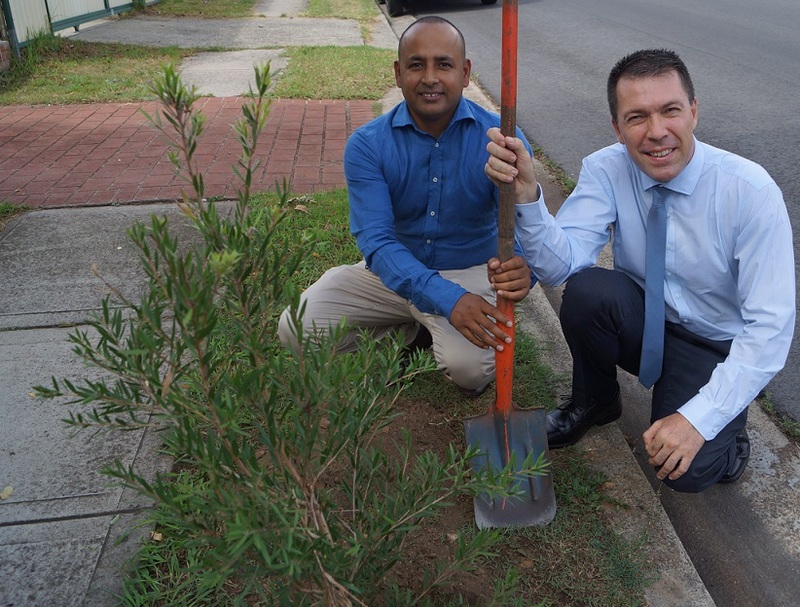 The street trees scheme is proving hugely popular, with more than 100 requests a week to Campbelltown Council from residents wanting to get a tree planted on the council strip in front of their house. Popular project: Campbelltown mayor George Brticevic and Macquarie Fields resident Ashik Rahman Ash at a tree planting yesterday morning. “We understand that synthetic, constructed surfaces such as roads and footpaths can create an urban heat island effect that can cause temperature increases across a suburb or town,” says Mayor George Brticevic. Residents can request to have a tree planted by calling council’s customer service on 4645 4000 or by emailing council@campbelltown.nsw.gov.au or phone 02 4645 4000. In consultation with the resident, Campbelltown Council will consider critical factors such as selection of tree species, location of nearby services, existing successful species in the street and adequate space for the chosen tree.